Dr. David Caruth, founder and President of God’s Perfect Timing Ministries is man of God and author of the book, God’s Perfect Timing: Breaking the Cycle of Poverty with Education and Faith. Dr. Caruth is a career educator, with more than twenty years of higher education experience. 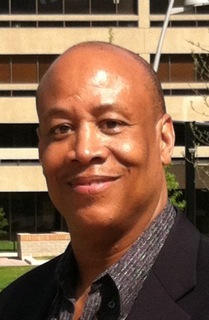 Prior to moving to Washington, DC to help provide education to the poor and under privileged residents of the District of Columbia, Dr. Caruth served as the Executive Director and Vice President for Academic Affairs of the National Center for Professional Development Solutions, in Denver Colorado, where he oversaw Center operations, hired and supervised faculty and staff, developed and gained approval for all academic courses. Hey Buddy!, I found this information for you: "Real Black Men Fight Poverty". Here is the website link: https://blackmeninamerica.com/real-black-men-fight-poverty/. Thank you.